How much is Flip Saunders Worth? 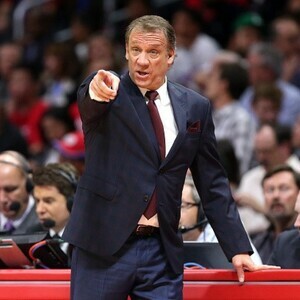 Flip Saunders net worth: Flip Saunders was an American professional basketball head coach and part team owner who had a net worth of $30 million. Flip Saunders was born in Cleveland, Ohio in February 1955. Saunders was an All-American basketball player at Cuyahoga Heights High School. He was named Ohio's Class A High School Basketball Player of the Year. He also played for the University of Minnesota. He started his coaching career at Golden Valley Lutheran College and then became an assistant coach for Minnesota for five seasons. Saunders became an assistant for the University of Tulsa for two years. He then became a coach for the CBA's Rapid City Thrillers from 1988 to 1989 and then the La Crosse Catbirds from 1989 to 1994. While with La Crosse Saunders won two CBA Championships. He was general manager of the Catbirds from 1991 to 1993 and team president from 1991 to 1994. Saunders was named CBA Coach of the Year twice. He coached the Sioux Falls Skyforce from 1994 to 1995. Saunders got his first NBA coaching job as head coach of the Minnesota Timberwolves from 1995 to 2005. He coached the Detroit Pistons from 2005 to 2008 and the Washington Wizards from 2009 to 2012. He was a head coach at the NBA All-Star Game in 2004 and 2006. In 2014 Saunders returned as head coach of the Timberwolves. In 2012 he served as an advisor for the Boston Celtics. Saunders was named President of Basketball Operations for the Timberwolves in 2013. 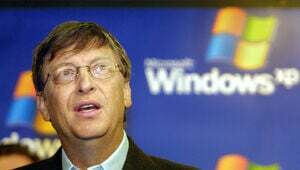 He was also a part owner of the franchise. Unfortunately, Flip Saunders died on October 25, 2015 at the age of 60 after battling cancer.